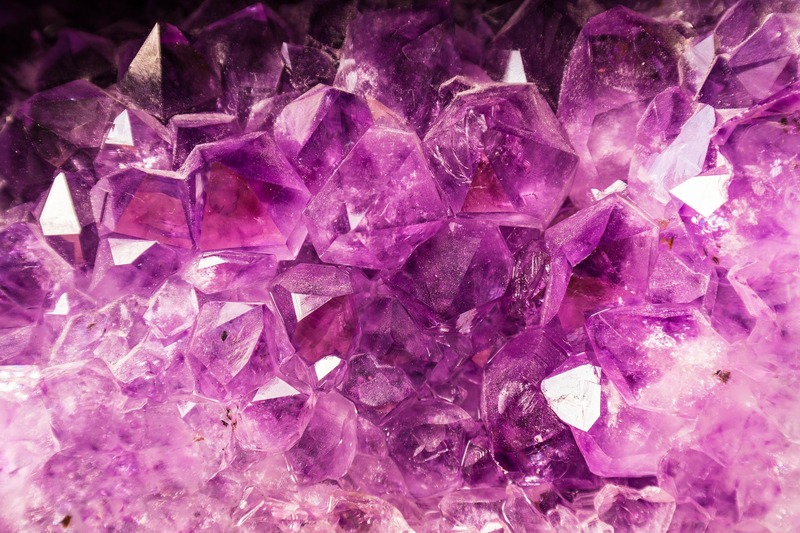 Let’s face it: crystals are EVERYWHERE right about now! 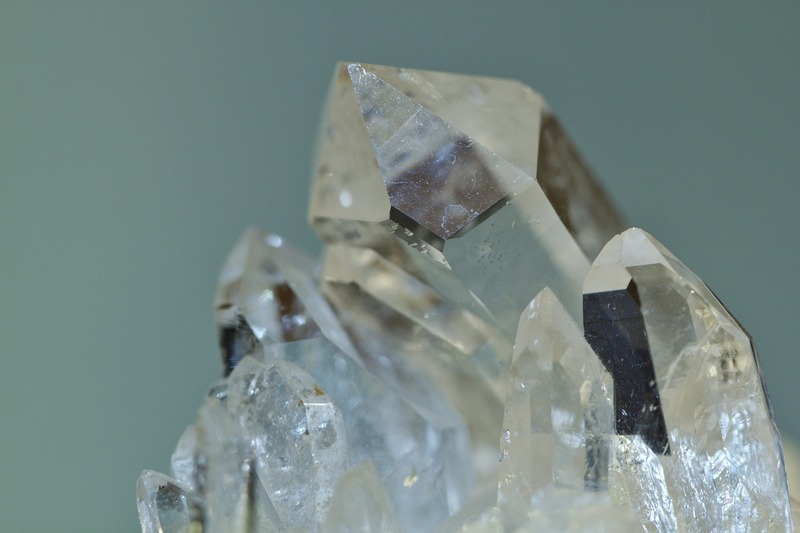 Many celebrities have recently been touting the benefits of crystals. Victoria Beckham, Katy Perry, Gwyneth Paltrow are among just a few of the celebrities which swear by them and their healing properties. Paltrow’s lifestyle website, goop.com, has featured articles about crystals and she is an advocate for the use of jade crystal eggs (a controversial crystal therapy). 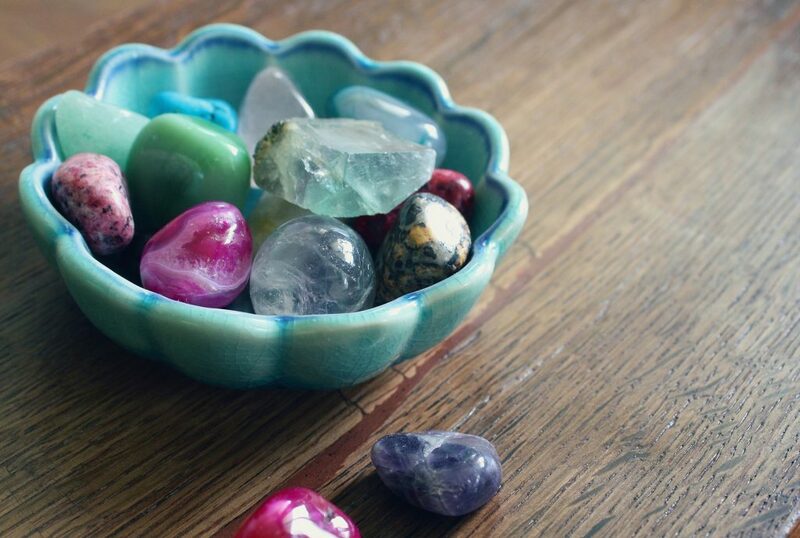 People keep crystals in bowls at their home, set them on their work desk, carry ’em in a pocket, or wear as jewelry. For some people, this is not just due to the look of the crystals, but what they can do for them. People from all around the globe and throughouthuman history have believed that crystals have powerful energy and natural healing powers. 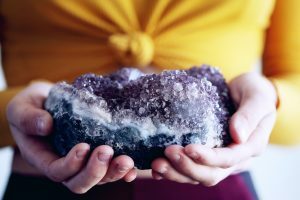 Crystal healing is considered a vibrational therapy that can be used to assist in healing your mind, body, and spirit. Crystals are able to absorb and transmit electromagnetic energy and thus can act as “pretty lil’ partners” to help harmonize the energy of your space. Quantum physicists contend that “everything is energy,” so therefore humans are also made up of energy. Crystals can help to balance your own personal energy and enhance your sense of wellbeing. Here are some things to consider about healing crystals and why they might be a good option for you. 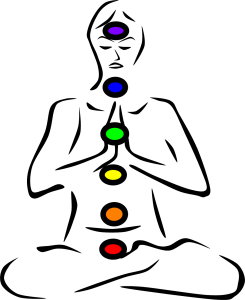 Chakras are known as different points in your body that can be used for healing and meditation. If you’ve taken yoga classes, you’ve probably been introduced to them already. You can get even more healing by using the right healing crystals with the right chakras. Different crystals work better with different chakras, so this just requires a little research to ensure you are using the right ones. For example, in the case of the throat chakra, use amazonite, lapis lazuli, or turquoise. 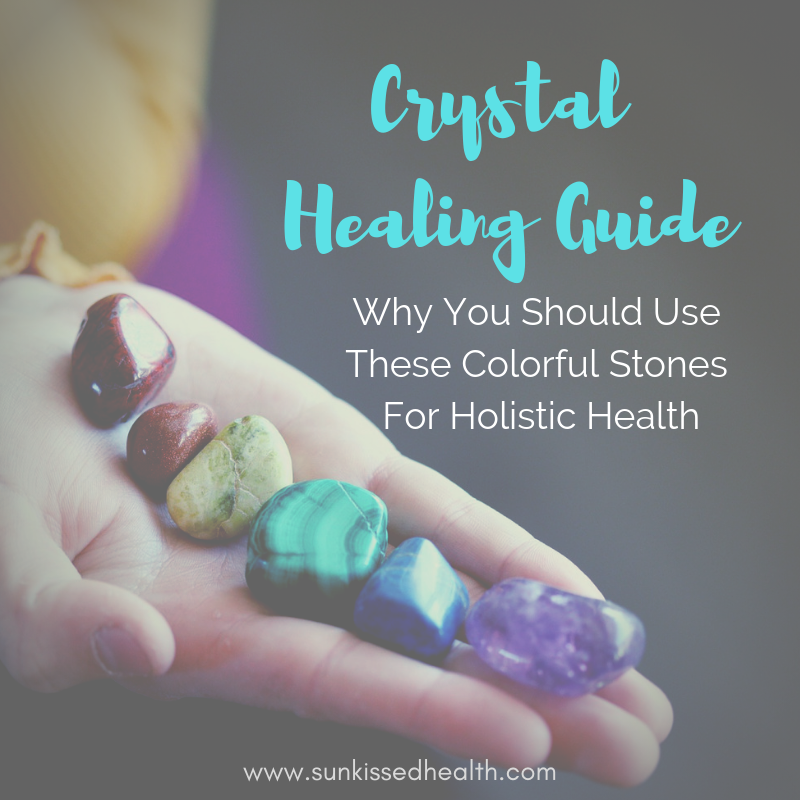 Another reason that healing crystals are great to use for holistic health is that you can get energy from them and can benefit by choosing helpful ones for any given situation. Each crystal has a different type of energy to tap into, which you may or may not resonate with. This is why when buying crystals, you should purchase them in-person so that you can pick them up and see if you feel their energy pulse. 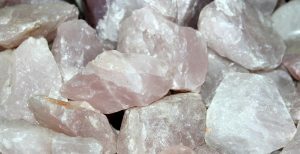 This pulse takes a little time and patience to experience, but with the right meditative practice, you can really get natural energy healing from your crystals. Whether or not you believe in the healing powers of crystals, they are beautiful, inexpensive, and can give you optimism throughout the day. This positive energy is a lot more powerful than you might think. Who doesn’t want to be more connected with nature? This is one of the most amazing benefits of using healing crystals. Crystals come directly from the earth’s surface, so of course they will still be closely connected. This is often why you find your crystals in rough form without a lot of altering. When you get it in its natural state, you will feel the most connected to the crystal and the earth itself. If you want to be closer to Mother Nature, using healing crystals is one of the best ways to do that. Buying a crystal should be an intuitive process. When you walk into a crystal shop, take note of which crystals stand out or call to you, so to speak. You may even sweep your hands a few inches above the rows of crystals and see if you feel a tingly sensation over certain ones. Some people may get “intuitive hits” by having thoughts, feelings, or images pop up in their mind as they hold a particular stone. Seek out local occult and metaphysical shops, gemstone and bead stores, and upcoming psychic fairs or festivals. I’ve even found a few gems (no pun intended!) at HomeGoods stores. 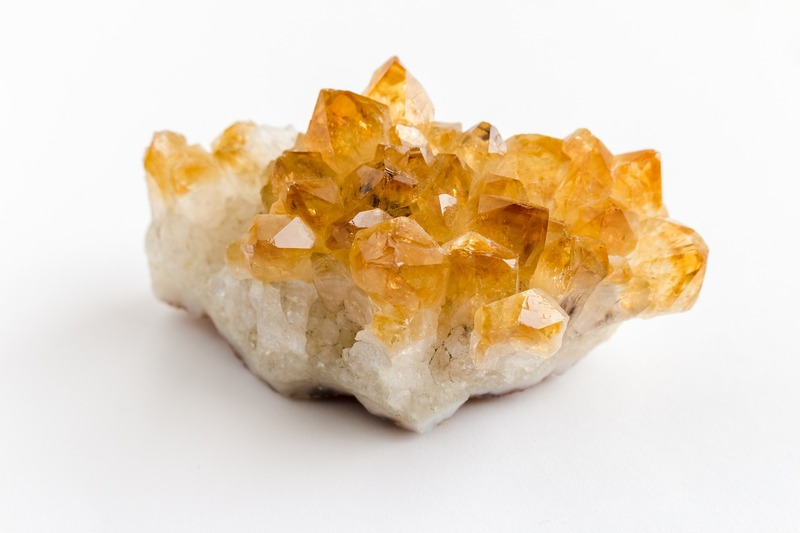 There are, of course, numerous online stores for those who lack local crystal resources. You can find some beautiful, one-of-a-kind specimens listed on websites like Etsy.com. If you are looking to start using healing crystals for body and mind healing, it starts with the crystals you use. Each crystal promotes its own set of benefits, whether it is a stone that helps with anxiety, to those for more physical conditions. Different crystals also work with different chakras, which is another important aspect of holistic health. When you are new to using the crystals, the following ones are great to start with. When people think of crystals, they often think of the clear quartz as a classic crystal stone.This is also why it is one of the first crystals people will get. It is a well-rounded healer, helping with emotional, mental, and physical wellness all at the same time. Clear crystal quartz is the mother of all crystals and known as the “master healer.” It enhances the energy of other nearby crystals. This is a great stone to start out with. alance in your body and mind, helping you to sleep better, relieving anxiety, and helping with mood swings. Amethyst is known as the “great harmonizer,” as it is widely used in feng shui to help balance out the energy of a space and reduce stress. nce compassion for oneself and others. 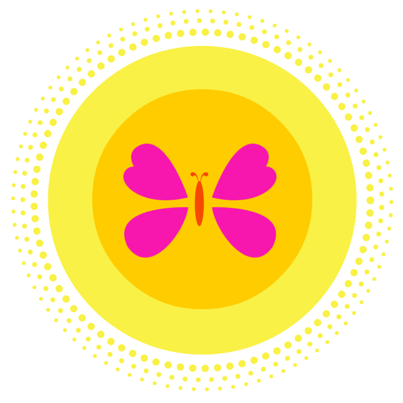 to start with, as it is easy to find, beautiful, and has a lot of amazing benefits for you. 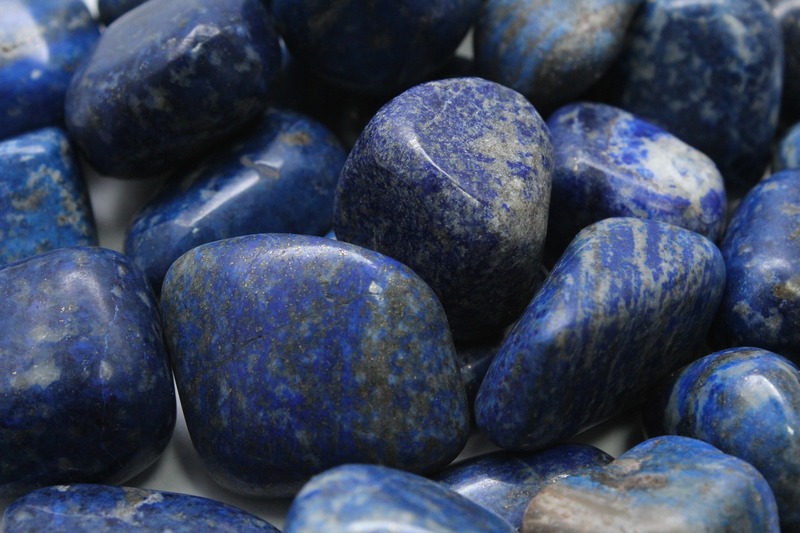 Lapis lazuli has a deep blue shade, so it is calming and relaxing. It is often used for relieving anxiety and stress, helping with eye or throat problems, and helping to ward off negativity. As with all crystals, there are many potential healing benefits you might not realize you are getting from wearing the crystal. When it comes to decorating your space, I always recommend incorporating purple amethyst especially in a high-traffic area, such as the living room or kitchen. Add it to bookcase shelf to partition off some space for beauty amongst the books, or even set in the middle of your kitchen table for a dash of sparkly decor. For these larger spaces, I suggest incorporating a larger crystal geode or rough cluster, which is a crystal in its most natural, powerful form. You can even create a circular tray of many smaller tumbled crystals, in various vibrant colors, to add to the center of a coffee table to brighten up the room (see above image). 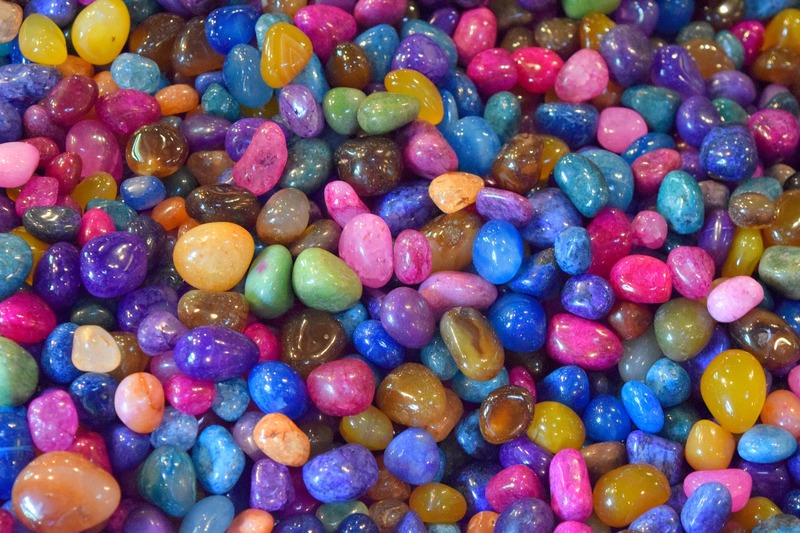 Agates are an inexpensive choice, and can be found in all hues of the rainbow. I would also suggest placing a rose quartz in the bedroom, perhaps on the nightstand, to enhance feelings of love and intimacy with your partner (or even to help attract one)! When it comes to decorating with crystals, there really are no rules! Follow your own intuition and what “feels right” to you! There will be certain stones which attract you, and others which repel you, and that’s ok. Go with the flow and choose ones which energize you. One of the lovely things about crystals is that you can easily move them around to keep things fresh. From a feng shui perspective, it is always a great idea to regularly rearrange your furniture and switch up your decor from time to time. This helps to keep the chi, or life force energy, easily flowing throughout your home. 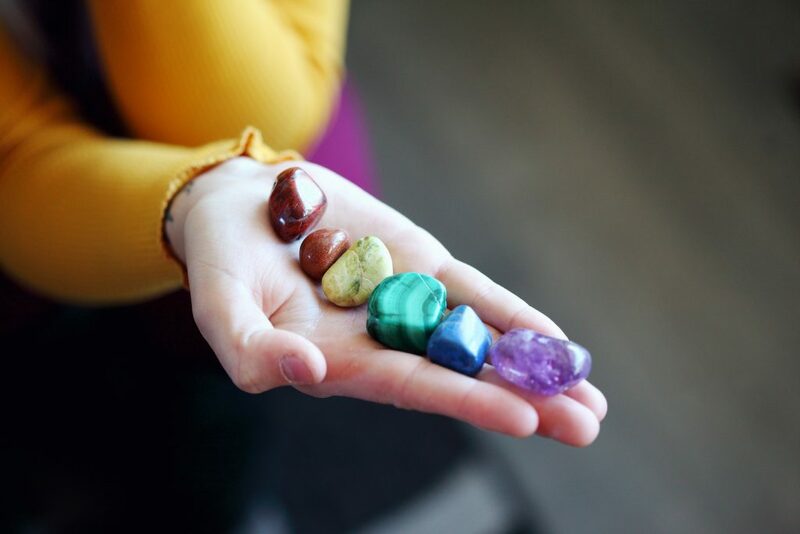 Just like how an acupuncturist inserts needles to open up the flow of energy within the body, crystals can act as chi-enhancers to facilitate the energetic flow within your space. So at the very least, crystals are GORGEOUS. To the extent of which you choose to connect with them is totally up to you! 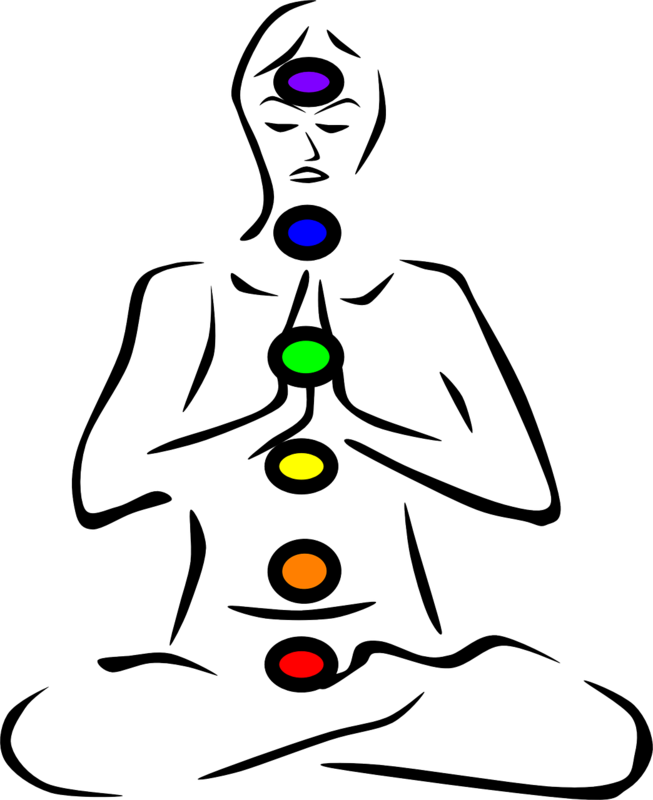 A note: COLORS have vibrations of their own! Check out my blog on this topic. And now it’s your turn: what fun stories do you have around crystals and their role in your home, health, or healing journey?